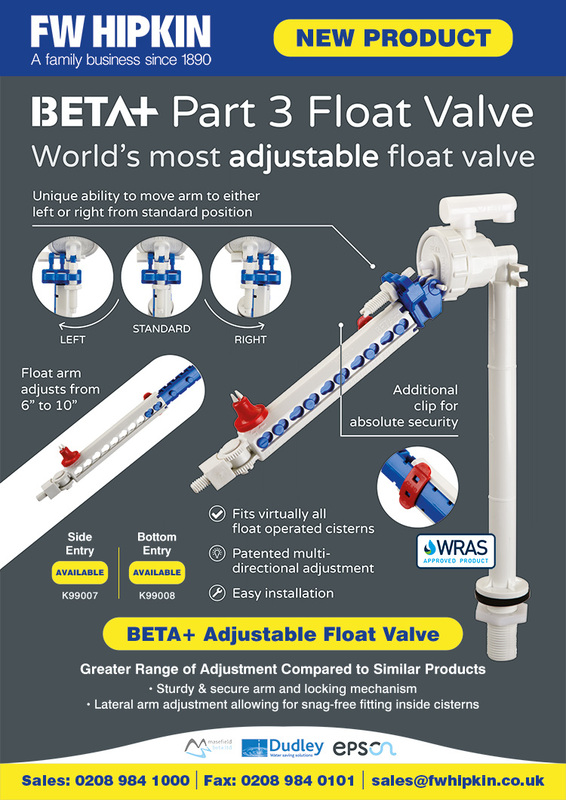 The new Beta+ Part 3 bottom entry (side entry is also available) float valve is the latest addition to the Epson range featuring a patented multi-directional adjustment design. The valves are made to fit virtually all float operated cisterns. The unique ability to the move the arm to either the left or right from the standard position provides flexibility when installing the valve into the cistern. The float is sold separately. For more information and technical detail about the BETA+ visit the Masefield-Beta website.